Today’s guest post is from Martha Conway (@marthamconway), award-winning author of Thieving Forest and Sugarland. For the past year or so, I have been hearing about the effectiveness of Facebook ads around the social media water cooler. As an author with three novels published and a new one scheduled to be released next year, I try to get the word out about my work as much as possible. I’ve tried Amazon ads and Google ads with very limited success (neither one paid out, but they increased awareness of my books—I hope). The conventional wisdom in book publishing is that ads aren’t an effective way to increase sales unless the author is mega-successful already, and my experience with Amazon and Google advertising seemed to confirm that. However, I couldn’t ignore the many people I respected who seemed to think Facebook ads were worthwhile. And I told myself that perhaps the Facebook platform was more controlled, and possibly more targeted, than Google. So I took the plunge. Wow. What a roller coaster ride. I went from thinking This is the greatest piece of promotion I’ve ever done to thinking I might as well have burned that fifty dollars in my backyard Weber. It wasn’t all bad, because I figured out where I went wrong after a few days and adjusted my ad settings. But if it weren’t for my husband, who works in the advertising industry, I probably never would have figured it out. To start with, I’ll go through how I set up my ad campaign—an ad for my latest novel, Sugarland. After that I’ll pinpoint where I went wrong, so others can avoid the same mistake. Facebook is pretty good at walking newbies through the process of setting up an ad campaign. Once I selected “Create Ad,” I was immediately taken to a page that asked, “What’s Your Marketing Objective?” I chose “Send people to your website” (i.e., the Sugarland page on Amazon). Then I created a custom audience, trying to make it as specific as possible, which I had read was good practice. I targeted an audience who was in and around the Chicago area, as my novel takes place in Chicago, 1921. I limited it to women (who generally buy more novels, especially historical novels); I set the age from early twenties and up; and I targeted those with interest in mysteries, literature, fiction, jazz music, reading ebooks, and a few other interests and behaviors. I also set my daily budget and set a schedule for seven days. So far, so good. But there was one more step in the Facebook campaign specs process: to choose my ad’s “Placement.” Here is where things went seriously wrong. 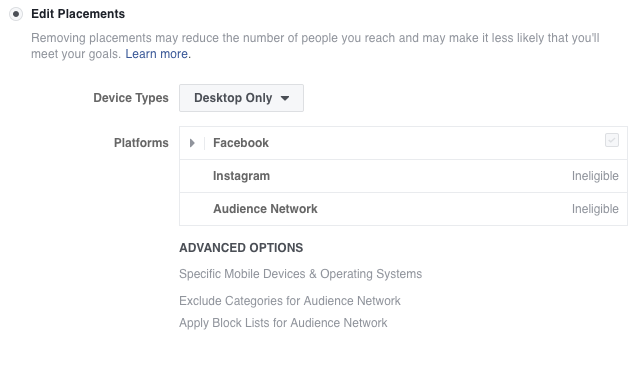 As you can see by this graphic—a screenshot of the “Ad Set” page where you set your preferences—Facebook really encourages you to select the “Automatic Placements” choice. Not only is it specifically recommended, but there is also a kind of advertisement for it right in the category box (“New! Automatic Placements”). The description sounds good: “Your ads will automatically be shown to your audience in the places they’re likely to perform best” and “We’ll optimize delivery to show your ads to your audience in the best-performing places.” So I selected that option. It turned out that this was the wrong move, but more on that later. On the next screen I uploaded an image for the ad, wrote the headline and a few words of text, and I was good to go. The first day and a half was exhilarating. Almost immediately I was getting a far greater number of clicks (users who clicked on my ad and were taken to the Amazon book purchase page) than I believed possible. The ad went live late on the evening of September 5, and on September 6, the first full day of advertising, I received 166 clicks in one day. To give you some context, most of my Amazon or Google ads received only about 100 clicks over the course of one week. Not only was the number of actual clicks enormous, but the click-through rate (i.e., clicks divided by impressions) was 5.34 percent, whereas my ads on Amazon or Google typically had click-through rates of 0.46 percent. Here the Facebook click-through rate was over ten times higher—to industry experts this would be a red flag, but I just thought it was great. Checking my Kindle sales page for that day, however, I saw that, for all those clicks, I had sold only two books. Not great, but the ad campaign had just begun. On September 7 my ad received 157 clicks, and on September 8 it got 172 clicks. Of course, each of those clicks cost me money (approximately $0.12 per click), but hopefully they resulted in some sales. If these ads performed as well as Amazon ads (and Amazon is able to calculate approximate sales their ad campaigns generate), I would expect at least five book sales each day. But I didn’t get that. Nothing like it. Although in August Sugarland had been selling something like two or three books per day, by some fluke of circumstances there were zero sales on September 7 and September 8. Not a one. I had been crowing to my husband about all the clicks I had been getting (500 by the end of day three! ), and at first I rationalized the lack of sales—they just hadn’t shown up yet on my sales page for some reason. But by the end of day three I admitted that, as remarkable as all this activity was, it hadn’t resulted in any real purchases. My husband and I took a look at my “Ad Management” page on Facebook, and after some digging he figured out that most of my ads, and the resulting clicks, were showing up on something called “Audience Network.” Neither one of us knew what that meant. But the other possibility is a bit more ominous. Some games on mobile devices use something called “incentivized ads.” An incentivized ad is when a user has an incentive to click on an ad because in doing so they will get something in the game they are playing—a cloak that allows a character to fly, a weapon, a cool piece of armor. Incentivized ads are generally frowned upon by companies such as Facebook, and they most likely have a policy against them, but apparently these kinds of ads are hard to trace back. Most companies, Facebook included, will sell my ad to another party who will place it on some platform; or the second party might even sell it a third time to someone else. When my ad is finally placed on a device where a user can see it, it may be a long way from where I initially set it up. And here I was thinking that my ad would only be seen on Facebook pages! Not so. My ad could be placed anywhere, on any device, on any page, where a pair of human eyes might see it. That is, unless I specify Facebook as the only platform used for my ad. Once I did this, the click rate aligned with Amazon and Google ad click rates—about twenty clicks per day. Although I sold a book or two, the end results were not discernibly better than my Google or Amazon ads. However, the education was invaluable. Posted in Guest Post, Marketing & Promotion and tagged book marketing and promotion, click-through rates, Facebook, Facebook ads, Facebook marketing. Martha Conway is the author of The Underground River, which was a New York Times Editor's Book Choice, and features a neurodivergent character as the protagonist. She teaches creative writing for Stanford University's Continuing Studies Program. Thanks so much for sharing your experience, as it explains why I had such a poor response when I tried the Fb ad route. Maybe next time I’ll have a better result. I too ran a couple of shirt term ads(I own a small bike shop) and saw clicks on the ad immediately, However, the long term result was even though I ran ads and saw an increase of clicks to the ad/shop page… it created NO email/FB contacts, phone calls or shop visits. And unlike you, I never figured out why.. thank you for the heads up! I doubt that I’ll run an ad again, but always good to know why it might have failed so miserably! So, Martha, would you say the Facebook ads, done as you recommend to use Desktop only feature, are worth it for sales? Can you give us the return on investment? Or do you think the exposure is still worthy? My investment in the Facebook ad did not pay out, even using the Desktop-only feature. It may have increased awareness, however, and I think the fact that you can target so specifically on Facebook helps in that area. It’s not something I would regularly do, however. Thanks for sharing your case study Martha. Facebook ads definitely are not for the faint of heart. There is a steep learning curve, but thankfully not insurmountable. As a book marketer I still recommend both desktop and mobile ads for authors as many people have one-click shopping on Amazon and iBooks and the clunky experience of buying online isn’t as daunting for books as it is for a Nordstrom or Best Buy. Good to know, thanks! Do you have any tips for getting better results? Jeez, what a great education! And luckily so very timely for me. I was planning to do Amazon and FB ads about a month from now. You just saved my checkbook from the backyard bbq. Thanks so very much. Shared this everywhere. That backyard bbq is so annoying! I’m wondering if the weeks between Thanksgiving and Christmas might be a good time to try something, since everybody is constantly buying. I’m on the fence, more hopeful than confident. Hi Richard: If you run a search for author case studies or experiences with BookBub, you’ll find many valuable posts. As a general rule, most authors find that BookBub ads are the most valuable form of advertising, but it can be tough to get accepted by them for promotion. Richard, what is the price of your book, both paper and digital? Knowing that the only way to analyze the return on investment. Using your numbers, cost-to-sale, my latest novel retails at $19.95 (paper) and $3.99 (digital). For me, advertising on Amazon or Google is cost-prohibitive. Did I read your post correctly? Richard, I’m a novice at being an author, and maybe I’m just being dense, but the kindle chart says that if your book is priced at $2.99 on Kindle, it will cost you $7 per sale. Doesn’t that mean that you would be losing $4.01 on every sale made? Martha: It’s so great to see you on Jane’s blog. I enjoyed your post and understand how frustrating Facebook ads can be. I think they can be effective but it takes time to learn how to hone your audience, as you mentioned. Both Mark Dawson and Andrea Vahl offer courses on Facebook advertising. I commend you for trying it on your own. I know that I’ve had mixed results, but for some people Facebook ads are important to their marketing. I recommend taking a course, either the one from Mark Dawson or the one by Andrea Vahl. They really know their stuff! 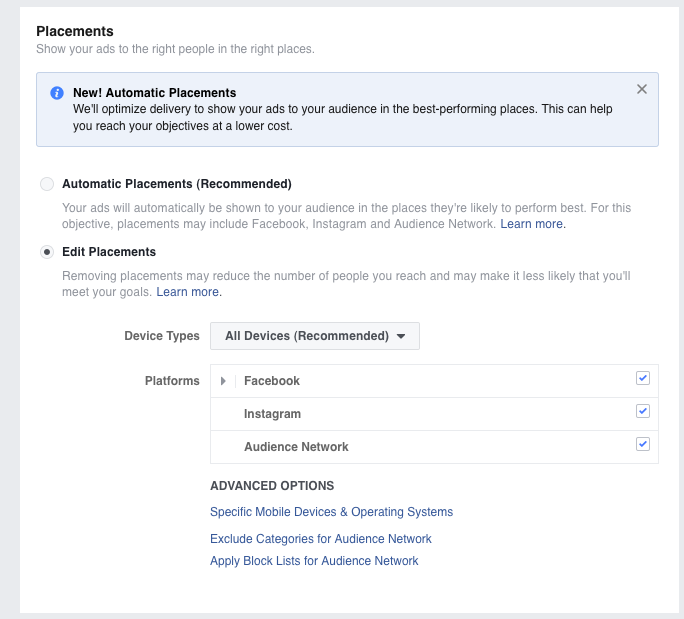 As to your ads feeding to desktop even though you hadn’t changed the settings —it may be that you set up your ad before “Automatic Placements” became an option. In any case, I’m happy to hear the ads are working for you! Sounds like you are very methodical, which is exactly what’s needed. Are you doing any other promotions while you run your FB ad, or do you think all your sales come from that? No other advertising or promotions. Just fb ads. I’ve often wondered in fb ads success is tied to genre, that perhaps readers of some genres are more likely to click an ad for a book than others. Wow, that is some fantastic insight, Martha. That’ll help me plan my future Ads. Much appreciated. Is anyone aware of a way to exclude your own FB friends from the targeted audience? I’m not selling anything–I have a book review website–but I paid for an ad to see if it could generate any new subscribers. My friends all saw it, and that seemed like a waste of money since they are already aware of it. My ad had a high click-through rate, although it did not correlate with the number of actual clicks on the website as recorded by Google Analytics. Great, informative story. Thank you. Any feelings on if “boosts” of posts or pages on Facebook are worth it? I don’t know how effective “boosts” are. Maybe someone here has tried it and could weigh in? Wow, scary and enlightening, Martha! Curious, why would you opt out of mobile devices if you un-check Audience Network? Wouldn’t that be missing a huge swath of Facebook users? That question is definitely worth asking, because you will of course lose those Facebook users who use their phones or other mobile devices (iPads etc.) to check Facebook. But your ad gets shown at a lot of less-than-prime locations, if you choose mobile devices, as well—including phone apps, which is not the best placement for a book ad IMO. 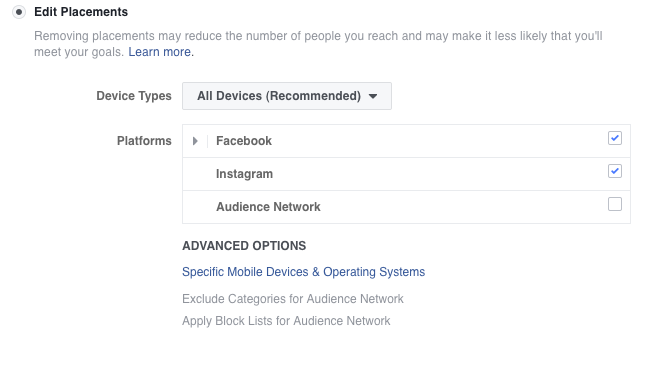 However, you could select “All Devices” and then only check Facebook, or Facebook and Instagram, leaving General Audience unchecked. That might be a good way to go. Great share, I’ll definitely integrate this one on my facebook pixelcode marketing campaign. I have been researching piece like this about facebook ads because since Google updates their PPC way, I also assume that Facebook features/interface about running an ad has changed as well. Martha, I’ve run Facebook ads a couple of times for book launches, and like you I was super pleased with the number of clicks I received, and then super disappointed with the poor number of downloads, even for free books. The numbers didn’t correlate. Now I know why! Thank you for taking the time to write this post and explaining where we’re going wrong. At this point, I’m revising my strategy and use FB ads for awareness raising rather than sales. That’s a great point, and confirms my hunch that “attraction that leads to sales” rather than “straight to sales” might be the way to think about FB ads (and maybe book ads on any platform). Thank you for this insight. Scary! However, I’m not sure I understand what you mean by “screw up the aggregation process” — could you explain that a little more? Thanks! Derek Muller of the YouTube channel Veritasium has done research into this. He presented his results, along with numbers, in the video “Facebook Fraud” https://www.youtube.com/watch?v=oVfHeWTKjag That was back in 2014. Earlier this year he did a followup about the circumstances when he still uses Facebook, in the first half of his video “The Hedgehog and the Fox” https://www.youtube.com/watch?v=g7nHXtLLKOM There are other negatives about Facebook, based on their monetizing of their user base any way they can, but that first covers the idea of click farms. Nice, Alex. Did you use Fiverr or someone else to create your ad? I’d love to hear the progress of your ad. Keep us posted. Well, I watched the whole thing. Loved it all, especially the music. Thanks, Diana! I also find that these marketing forays can be very time-consuming (and attention-consuming). I’m so glad we have places to share what we’ve learned —and / or confirm our findings. Onward, indeed! My concern is that most authors I meet are just like Martha, and hear that Facebook advertising works and decide to try it. Even with study and research, writers tend to struggle with how to create and manage effective advertising, regardless of platform. Yes, that’s definitely the disadvantage of running an ad on a mobile device. Thanks for adding to the discussion! My results were quite similar, (read lousy), only I didn’t have the sense to adjust settings. Lesson learned for $86 – Probably don’t advertise on FB. Thank you for this info. I’ve tried many of the ad platforms – I haven’t had much luck. Your article is very well-detailed. I’m not convinced the ads are worthwhile. I’ve had better luck targeting specifically reader-geared newsletters and sites. Thanks again, Ms. Conway! I’m with you on the reader-geared newsletters. So far they have been the best way for me to get word out about my books. This was such an insightful piece, Martha. Thanks so much for sharing. Thanks so much for this insightful piece. I am glad to know that I am not alone in my struggle to get my books into people’s hands and onto their tablets! Thanks a lot Martha! If i had not read this article I would not have figured out what’s wrong with my facebook ad campaign. Keep on writing! I always looked for posts like this that can empower me in experimenting Facebook ads and how can I make some of it. Thanks for this! Thanks Martha, you just save me money! I was considering running facebook ads for my books and now I think I’ll just skip that. Thank you! I knew about some of this but never thought about switching platform from mobile to desktop! Urghh… I still use Facebook after reading success stories from other authors and folks like Mark Dawson who sing its praises. Never yields big returns for me though. Really useful and informative article. Thank you. You’ve done the hard work for those of us thinking of going down the same track. Proceed with caution seems to be the moral of the story. Thanks for this Martha! Appreciate it!